Artists and designers have been using digital media for years to display their digital installations and works. The use of video in the Artworld has been enjoyed and appreciated. With the ability to create emersive interactive enviroments. Windsor has been lucky enough to be involved in a number of art installations. 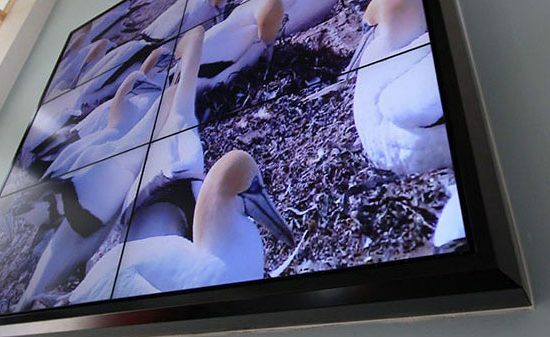 From video wall floor installations, to large rear projection displays. Call Us today for Digital Displays Solutions advice 01252 560 911. 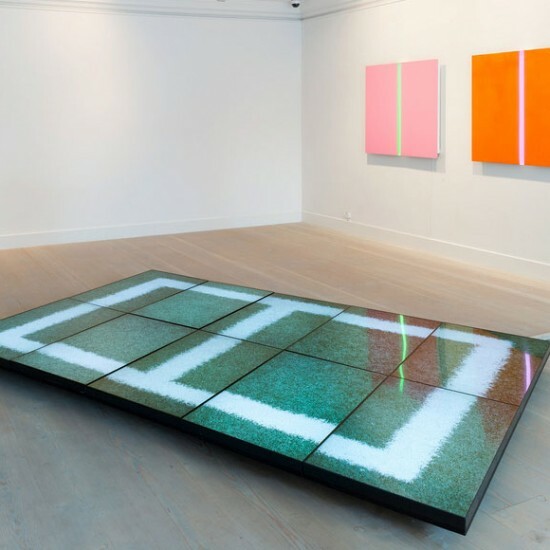 For a Central London Gallery, Windsor spec’d supplied and installed an impressive 10 screen floor installation. The Korean Artist supplied us with 10 separate video contents of which required syncing, to play the videos at the same time and speed. With the use of 10 Bright sign media players this was made possible. The floor video wall created great impact as the centre piece of the London Gallery. Call to chat over your ideas 01252 560 911. Windsor supplied and installed various sets of rear projection film in an upstairs gallery space. The Gallery offered their large street facing windows as a video installation, which truly came to life after dark. Creating a unique exhibition space. 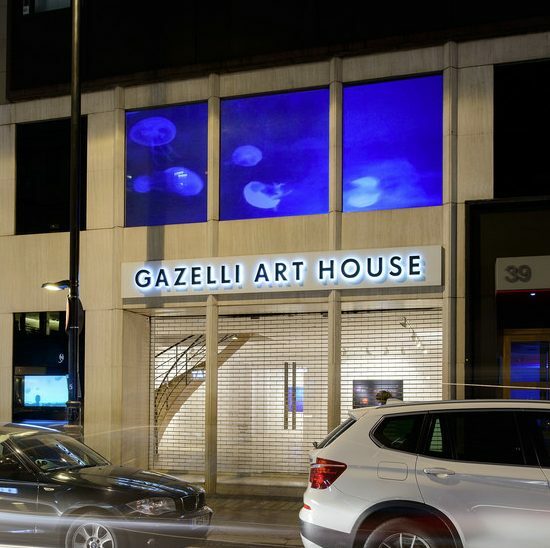 Gazelli Arthouse, had previously used Windsor Displays for another Digital Displays Project. They were looking to replace a make shift rear projection install. Windsor Displays were brought in to test a range of rear projection materials, for a new window exhibit. This was to be a video installation. 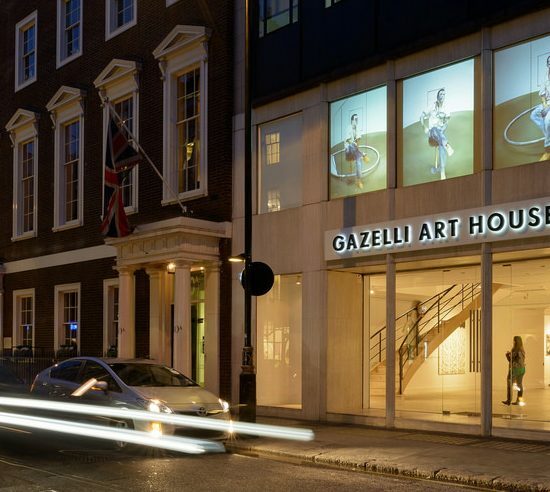 Gazelli were looking to offer their large first floor window space as a video installation platform. This would be available to artists who required a window exhibit location for their art. Windsor Displays installed the window film across a span of three windows, 1m x 5m and ensured the projector was at the correct spec for the job. 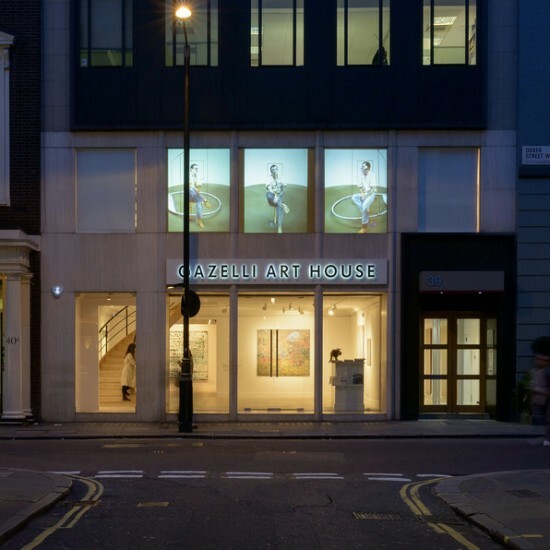 The Gazelli Window project area has become a very popular art space and draws a lot of night time attention, with the lit up windows on Dover Street, London. Wellcome Trust Rear Projection Film – used in large format area, covering a space of 44sq m Supply of Projection Film Windsor Displays.